The veteran cricketer and the legendary commentator Richie Benaud, died at the age of 84. He was described as the 'Godfather of cricket'. He had been receiving radiation treatment for skin cancer since November when he was admitted to a Sydney hospice on Thursday. News of his death threw the cricket world and beyond into mourning as tributes flowed in to a man remembered for his wry sense of humor, expertise and for simply being a 'true gentleman'. The iconic broadcaster passed away peacefully in his sleep overnight surrounded by his wife Daphne and family. In recognition of his towering stature, Prime Minister Tony Abbott has offered his family a state funeral. 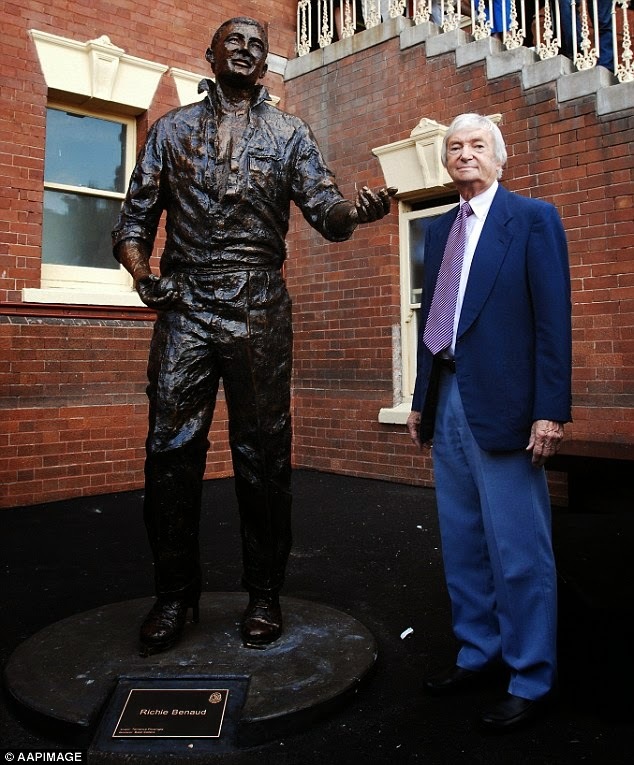 A veteran of 63 Test matches, Benaud played a pivotal role in the formation of World Series Cricket in the 1970s and was one of the world's most recognized commentators. In a broadcast career spanning more than five decades, he was instrumental in establishing one-day cricket on television. Such was influence; his dry one-liners and impeccable delivery - including one simple word 'marvelous' - were adopted as part of the Australian lexicon. Australian Test captain Michael Clarke said Benaud was a gentleman who played cricket in the right spirit. Cricket fans also paid tribute on social around the world and said it’s a dark day for cricket.